CAHUL, Moldova — The projectionist sits in a ruined theater. His love of film is tempered by a lament for a disappearing world. It’s almost like he can see the crowds that — over decades — gathered here at the Patria Cinema in the Moldovan town of Cahul, fixing their eyes on features and shorts that stuttered to life in its 420-seat auditorium, or dancing through the night in its two-story discotheque. It was, until it closed its doors six years ago and was left to fall into disrepair. Since then, Haheu has shuffled about the gutted premises, built in the socialist classical style in the 1960s, maintaining his lonely vigil as a security guard, awaiting its demolition. The Patria’s fate reflects a broader decline in Moldova, a former Soviet republic that nurtured a small but lively film industry during the communist era: historical epics, neo-realist features, sweeping love stories, propagandized slice-of-life documentaries. A crushing post-Soviet economic collapse, corruption and an indifference towards supporting the arts in the free-market era have shattered the country’s film scene — while imperiling its cinematic past. The country’s filmmakers are left to wonder if they have a future. “We need to develop a sensible approach and strategy for rebuilding the industry,” said 48-year-old Valentina Iusuphodjaev, from the local production house Brio Film, which has made a clutch of feature films and shorts. “If we invest in one or two films that have potential and one is very successful, this could stimulate the industry,” she said. That may prove difficult. To begin with, Moldova is poor. Its annual per capita GDP of around $2,000 marks it as Europe’s poorest country. “Many colleagues start shooting on very low budgets, and that is dangerous,” said Igor Cobileanski, 44, a prominent local director. The paucity of funds, said Cobileanski, isolates Moldovan filmmakers from potential collaborators elsewhere in Europe. He’s sipping wine at a bustling restaurant in the Romanian city of Timisoara — a stunning architectural mashup of Austro-Hungarian spires, communist sprawl and profligate capitalist construction — having just closed another long day, his 54th, shooting a crime series, “Hackerville,” a forthcoming HBO Europe and TNT Serie co-production. Cobileanski’s recent black comedy, “Eastern Business” — about an unwitting choral singer whose cross-country attempts to raise cash for his wedding are jeopardized by a con artist and an escalating series of hustles — succeeded in raising the profile of Moldovan cinema, at least in Romania. Moldovan film began to flourish in the late 1950s, when the state-run Moldova-Film, perched in Chisinau’s Telecentru district, started cranking up its production with Moscow’s blessing. Over a 30-year period it produced 177 feature films and more than 1,000 documentaries, according to archivist Lidia Marcu. 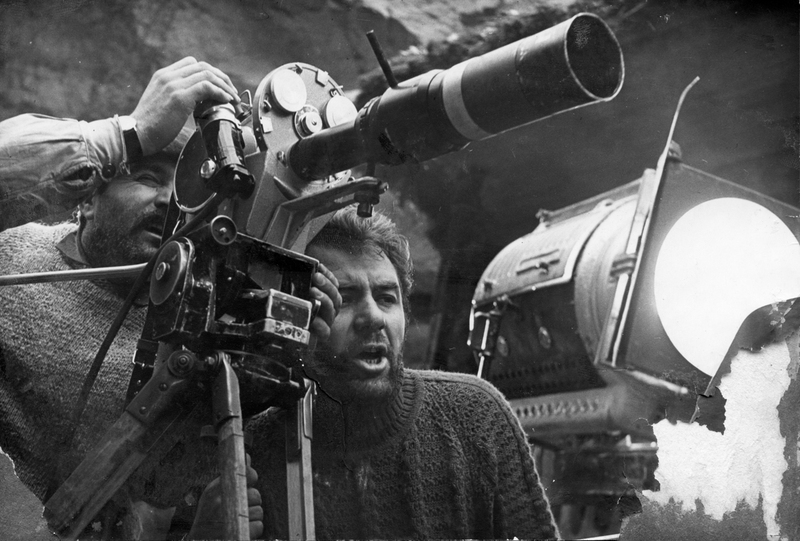 One feature even won the 1972 Special Jury Award at San Sebastian. That film, “Lautarii,” an epic by Emil Loteanu, charted the course of a traveling violinist seeking true love. Then the Soviet Union disintegrated in 1991. Moldova declared independence, introducing a market-based economy. Inflation ran rampant; the economy collapsed. Now, Moldova-Film is a depleted remnant. Its vacant halls stretch interminably. Costumes and props sit largely unused. Hundreds of film cans pack the run-down, humid archives; there is no money to digitize them. Two caretakers spend their days maintaining endless film reels, preserving Moldova’s cinematic history. Her colleague, Marcu, 59, recalled a much-loved Moldovan film, “Sandu Follows the Sun,” a vibrant piece of 1960s neo-realism about a little boy who decides to trace the sun’s course across town one day, meeting assorted characters. For Haheu, wandering about the ruined Patria, time is finite. The previous day some men from Moldova’s capital of Chisinau showed up, he said, discussing how to level the theater. The plan is to build a chain supermarket in the Patria’s place. The Patria is not the only site subjected to the forces of change. Movie theaters throughout the country have been demolished or converted. Demolition of the Gaudeamus Cinema in Chisinau began recently. A high-rise apartment complex will be built in its place. For many Moldovans, the destruction of such cultural sites reinforces a deeper mistrust in the country’s political, judicial and business classes, often accused of a venality that undermines any chance regular people have of improving their lot. But all is not lost. Film enthusiasts organize multi-day festivals screening documentaries in towns across the country. The government recently established the National Cinematography Center, which provides some much-needed funding to local directors. At Chisinau’s run-down, under-resourced Academy of Music, Theater and Fine Arts, aspiring filmmakers hone their craft. Posters of students’ work and stencils of film reels and cameras adorn the walls. “I really believe in the future of Moldovan cinema,” said 31-year-old Ion Usatyi, a recent graduate who teaches there. Urban activists, meantime, gather at cultural sites. One recent evening, a group even projected a film on the fence surrounding the Gaudeamus cinema, excoriating illegal development projects. It is, however, too late for the Patria. In April, two excavators rolled up to the cinema. Amid rising dust and exhaust, stammering hydraulic claws tore the theater down.